UNYC Nepal is a non-profit, non-governmental, grass-root and services oriented NGO established in 1995 registering at District Administration Office of Bardiya district. Its primary objective is to create civil society through improving the living standard and socio-economic development of the people of Bardiya district and Nepal as a whole through conducting community development and micro-finance program. 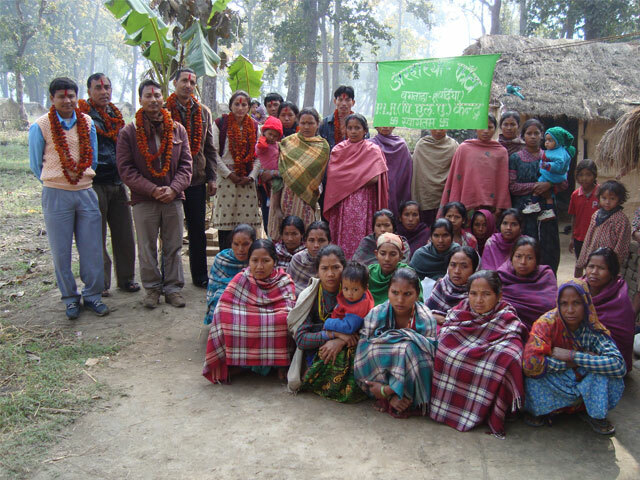 Our main aim is to focus on Indigenous Ethnic Tharu, Dalit and others poorest people. It is our philosophy that development of Nepal as whole is largely depending on strengthening the capability of the poorest and underprivileged Tharu and other people. Further more, the programming thrust of UNYC Nepal has been awareness building, need assessment and implementation through people's participation and empowerment for the sustainable community development. There are so many roles to be played by the local NGOs in order to achieve and all-round improvement of our civil society. Therefore, by uniting people, who are involved in the social service activities, we introduce a service oriented and non-profit NGO, UNITED YOUTH COMMUNITY (UNYC NEPAL) to dedicate our efforts to social services. Now, we have been delivering our services for the betterment of our target groups. Nepal is multi-religious, multi-cultural, multi-linguistic and multi-geographical country. It is the beauty of Nepal. Advance the economic, academic, social and political status of underprivileged, exploited, victimized, marginalized and the poorest people through sustainable community development efforts, awareness building up trainings and micro-finance activities. UNYC Nepal implements all its programs through groups of target people. Therefore, it formulates groups, implement, monitor and evaluate all the program activities in the active participation of direct beneficiaries. Before implementing the program, it coordinates with all the concerned government line offices, local bodies, local NGOs and other stakeholders. UNYC has been providing ambulance services from last 4 years to the needy people of Bardiya and Banke as well. The ambulance service is available for 24-hours. DASU/DANIDA had provided financial support to buy ambulance.